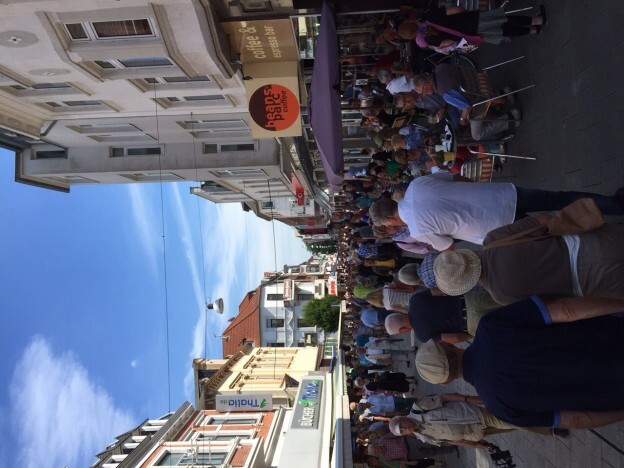 The coastal town of Wilhelmshaven, Germany hosted its 5th annual Street Fest August 1-2 in its City Center along the Nordsee Passage. 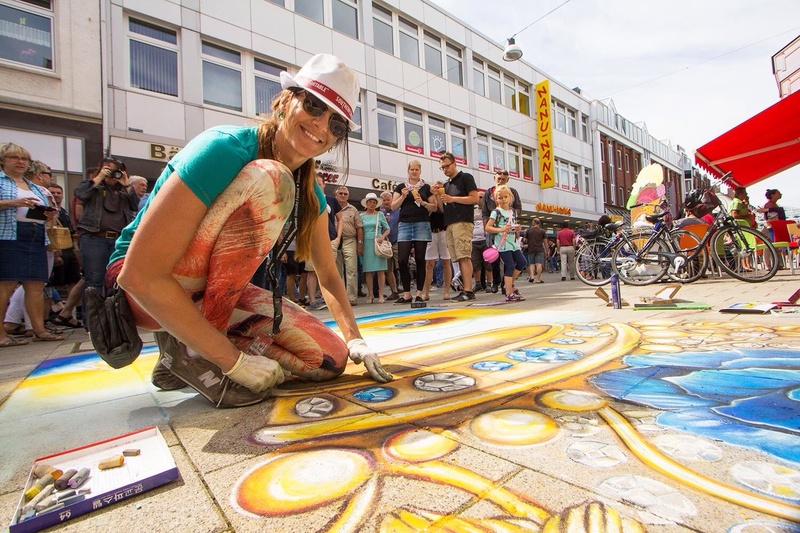 Over 60,000 people came to watch 40 international street artists chalk directly onto the paved MarktstraBe. 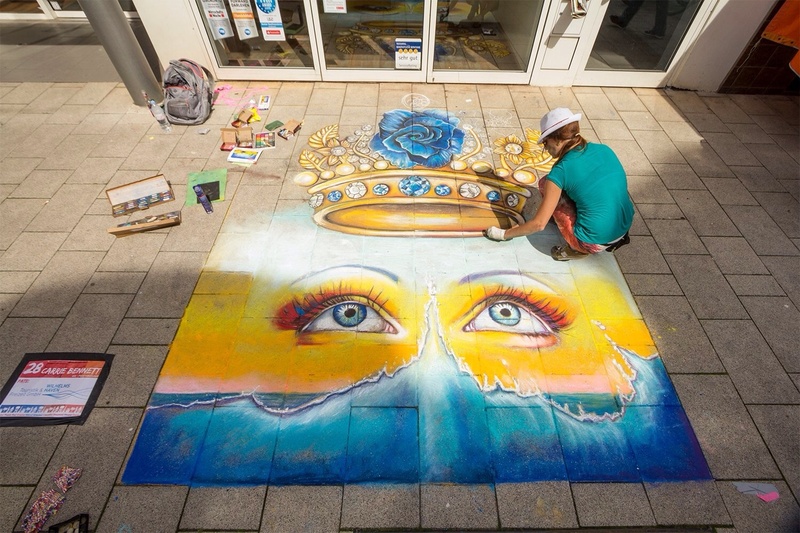 Artists were divided into 3 categories: 3D, copyists, and free artists, of which I was apart of. 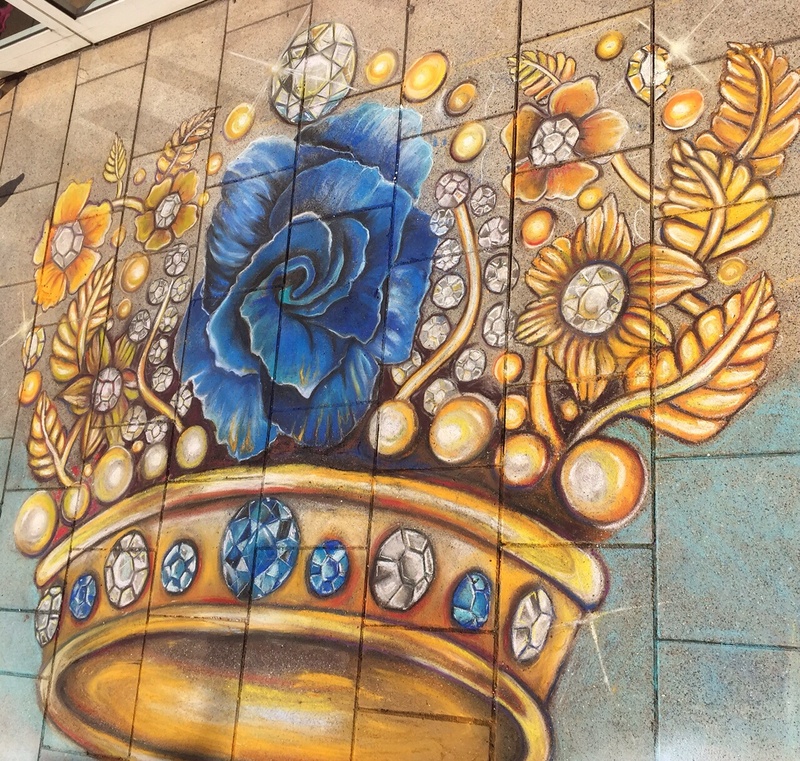 Because somewhere in the earthly light, the blue flower must grow. 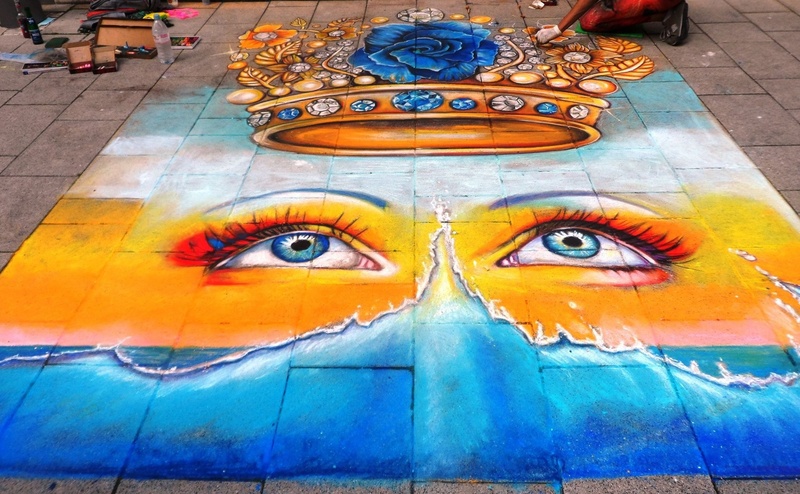 This entry was posted in News and tagged art, art festival, Blaue Blume, blue, blue flower, Carrie Bennett, Chalk art, crown, dream, Europe, Germany, gold, Hope, inspiration, jewels, Nordsee passage, street art, street Fest, street painting, summer, Wilhelmshaven on August 5, 2015 by Carrie Bennett.